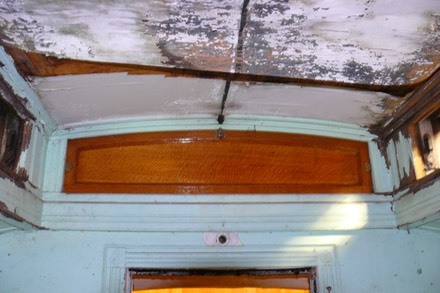 CAMA had for many years been the custodian of an 1892 Waynesburg & Washington passenger coach. It sat in relative luxury in our Malerbo Engine House for the past 13 years (ever since the Engine House was built). The coach was given to CAMA by the Greene County Historical Society located in Waynesburg, PA. CAMA members Bob Hungerford, Chris Chestnut, Josh Reynolds, Ray deZara and John Daudelin travelled to Pennsylvania to pack up the coach and flatbed it back to Kent. 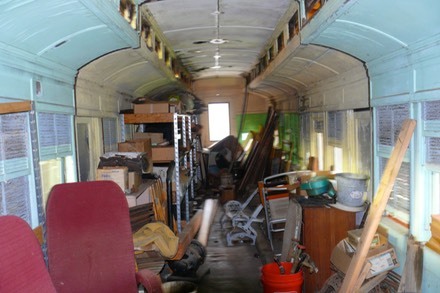 Shop trucks were built for the coach and it was initially tarped against the weather. 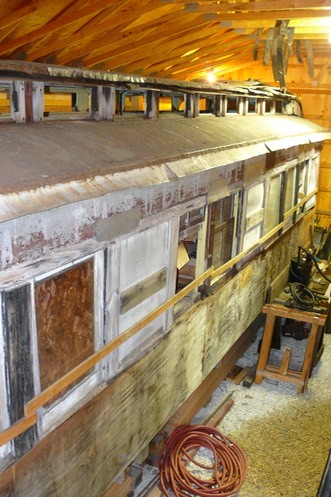 Enthusiasm was high to carry out a complete restoration of this coach, with the intent of putting it to work on our railroad. As the years passed however, other projects took precedence and the coach project languished. CAMA had many workers who could carry out machinery restoration, but the number of wood-working members willing to take on this major project was very limited. Four years ago, the CAMA Board of Directors decided to try and find a new home for the coach. Initially, the Board’s decision was to try and sell the coach in an effort to partially recoup our expenses in bringing it here and stabilizing it. There have been interested parties that contacted CAMA, and in fact, one deposit placed on the coach with intent to purchase. No one however has followed through with an actual purchase. The party who placed the deposit did so over 4 years ago and although well-intentioned, never followed through. Last year the CAMA Board was presented with a dilemma. With a now nearly fully restored caboose, the Board wanted to move it out of the Restoration Shop where it has been for over 10 years and place it in the Engine House. With that in mind, the Board of Directors approved letting the Waynesburg coach go to a new home at no charge. Word of this decision reached the Greene County Historical Society in Waynesburg, PA, and they immediately contacted CAMA expressing an interest in returning the coach home for an exhibit in their Wayneburg & Washington Railroad collection. Late in 2015, the coach was loaded onto a flatbed truck and returned to Waynesburg. Articles in local Western PA newspapers heralded the return of this important and rare link to the Waynesburg and Washington Railroad. Here’s a link to one of the articles from the Pittsburgh Tribune.